In the ever-evolving world of cryptocurrencies, there are few out there more interesting and more confusing than Gridcoin. Founded in 2015, Gridcoin works hand in hand with BOINC project management software to help facilitate a wide range of research projects through what can best be described as unconventional means. 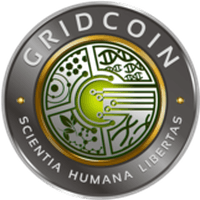 To keep things simplistic, users of Gridcoin offer up computing power that can be used by any of the projects listed on BOINC. 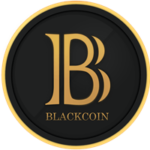 In exchange for offering up said computing power to specific, approved projects, these contributors are rewarded with Gridcoin (GRC). In the following few sections, we will elaborate more about what GRC is, how you can get involved, and, most importantly, how you can make money from your involvement. Now that you at least have a simplistic idea of how Gridcoin works, it is only right that we delve into the finer details of it all. Though the countless nuances of Gridcoin can make understanding its function a bit more difficult, there is a logical progression to it all and we will attempt to keep things as basic as possible. If you have now decided that you would like to get involved in Gridcoin, the following is what you will need to do. Before anything else, you need to download and install the BOINC project manager application. For those who have never heard of it, BOINC is a project management software that was pioneered in 2002 and has been online ever since. In essence, the BOINC application is the foundation that supports the Gridcoin network. Once you have installed the appropriate version of BOINC to your device, you can then browse the many approved projects, also referred to as whitelisted projects. In BOINC, the Gridcoin projects range from research dedicated to outer space, molecular science, and so much more. Generally speaking, many of the projects on the site are in the science and medical research fields, though they are not strictly limited to those fields. In choosing projects upon which you would like to work, you are usually asked to sign up and create an account for the project specifically. In most cases, your registering for a certain project is used so that you can be rewarded later down the line. Once you have BOINC downloaded and have browsed projects to which you would like to contribute, you then need to download the Gridcoin client. After all, without the client you will have no way of being rewarded for the computing power you offer up, and at the end of the day that is the ultimate goal. 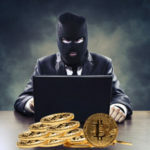 Though you need to supply an email address in order to download and use Gridcoin, your personal information is not part of the blockchain and thus not susceptible to malicious attacks. Once you have the Gridcoin client downloaded, you then need to sync it with the blockchain in order to fully participate. At this point, you then need to acquire some GRC in order for things to move forward. Though this may sound weird, you need to have a positive GRC balance to begin contributing power and building rewards. Luckily, there are sites called “faucets’ whereby you can receive tiny amounts of free GRC solely for the sake of building a balance. Now that you have both the GRC Client and BOINC downloaded and setup, it is time to begin earning GRC via your participation in projects. First and foremost, you need to ensure that the project(s) which you have chosen to work on are part of the Gridcoin network. In GRC terms, these are considered to be “whitelisted” projects. If you have chosen to contribute to projects that are not whitelisted, you will not be rewarded through Gridcoin. Next, you need to verify that your CPID (Cross Project Identification) has been detected by the Gridcoin Client. In other words, you need to ensure that your Gridcoin client has been synced with the whitelisted projects to which you would like to contribute. If you are not seeing a synced CPID within the Gridcoin client, you will need to troubleshoot in order to identify and rectify any problems. Once your CPID has been verified, you will then register your CPID on the blockchain by way of an advertising beacon. An advertising beacon is, by all accounts, a small transaction sent from your wallet to the blockchain. In order to send this successfully, make sure that your wallet has been fully unlocked. Once the transaction is sent and confirmed, you should then lock your wallet once more. Once you have done this, you simply need to wait for your CPID to be registered on the superblock, something that can take up to 24 hours. This is so because only one superblock of new users is uploaded daily, and you may have missed the superblock creation time for the calendar day in question. 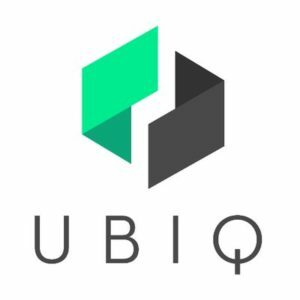 As you stake more projects and build a larger stake in many projects overall, you will be rewarded with GRC over time. Something worth noting is that Gridcoin sees blocks in the blockchain staked by size. Therefore, if you are a small fish within the Gridcoin network, being a contributor to projects and thus being paid out is difficult, or time-consuming if nothing else. Because of this, there are pools by which you and your CPID join other smaller users to create a larger group. Because Gridcoin rewards people by the size of their contribution, and allows larger contributors to stake blocks before smaller contributors, the pooling method is the most effective for some users to really benefit from being apart of the Gridcoin network. Just as it is with Bitcoin, you can use Gridcoin as an investment tool. Whether you are hoping to trade the currency for a profit, or hold onto it in hopes of it appreciating down the line, you can do that with Gridcoin. By way of any number of exchanges out there, you can utilize fiat currencies like the USD in order to acquire GRC. There is not a huge amount of people doing this simply because being involved in the GRC network is a bit easier and more straightforward than it is with Bitcoin. Though users are rewarded proportionate to the amount of computing power offered to specific projects, it is much easier for a passive-user to get in on the action. Rather than all of the hardware and software that can be purchased to give on BTC miner an advantage over another, smaller miner, GRC creates more of a level playing field. In many ways, Gridcoin is identical to other cryptocurrencies. With the use of a blockchain, the P2P functionality of it all, and so much more, BTC and GRC are indistinguishable in many ways. With that being said, GRC’s appeal is a bit greater in that it allows someone to be involved in a community that interests them. Where the active participant in the BTC network is contributing processing power simply to be rewarded with currency, the average GRC user is doing much more than allowing a transaction to move from Point A to Point B. By contributing to the GRC network, you are helping facilitate all sorts of interesting science and medical projects. From mapping the shape and movement of asteroids, to contributing to research aimed at crafting a cheap, effective ZIKA virus vaccine and survival tactics, you are helping facilitate projects that have meaning and purpose. For those interested in the science and medical field especially, it is nice to say that you are—quite literally—on the ground floor of some exciting research projects. Though you may never win a Nobel Prize, you are helping further the scientific, medical, and so many other fields of your choosing.